The front suspension from the factory allows zero camber adjust-ability which can become a problem especially when lowering your car. Race enthusiasts also wish to add more negative camber to increase their handling without having to "slam" their car to achieve the desired camber. These arms will allow 1.5 degrees of positive camber, and 1.5 degrees of negative camber from the factory settings. So if your car is lowered 1.5" and the front camber is sitting at 2 degrees negative camber, these arms will allow you to bring them back out to .5 degrees negative camber. These arms are completely TIG welded and offer a huge upgrade in strength over the factory arms. They use ENERGY SUSPENSION polyurethane bushings for increased responsiveness over the factory rubber bushings. 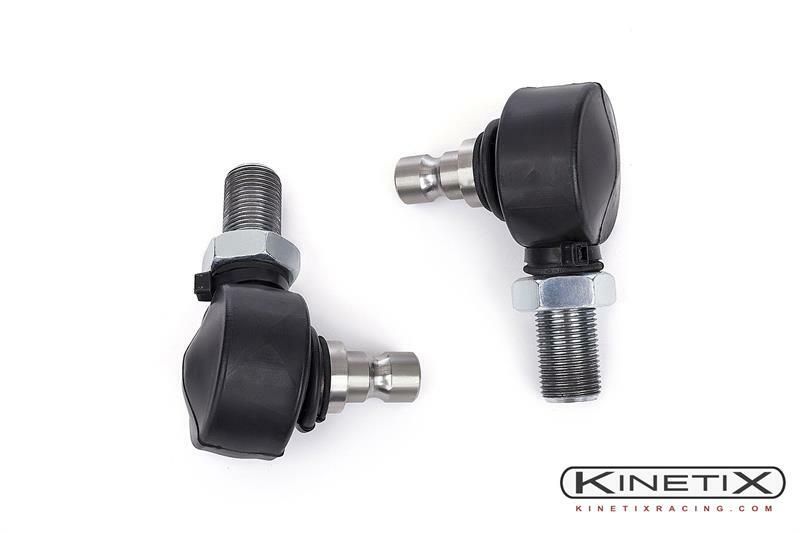 They also use a high quality 3-piece Heim ball joint protected by a black rubber dust bootie. 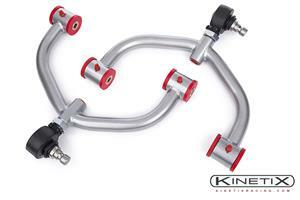 These Heim joints offer the best in suspension responsiveness and smooth operation. These Heim joints are also highly serviceable and do not require any special tools to remove. The have Teflon coatings inside for "chatter" free operation for years. 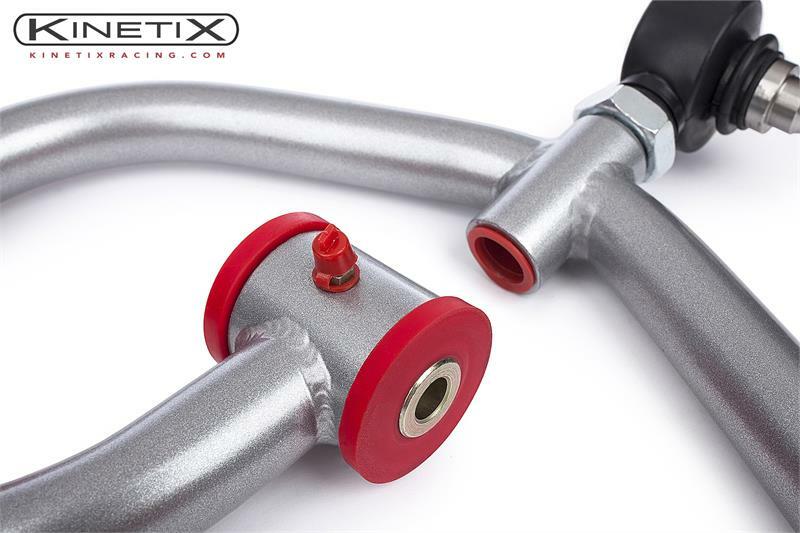 We have also included grease fittings for even easier serviceability. Current lead time is 4-6 days from the date the order is placed for shipment.